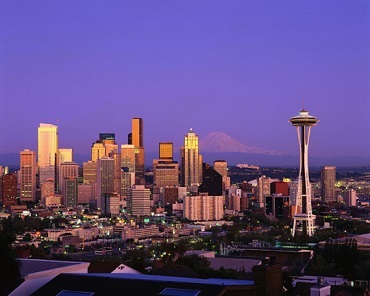 Financial Management Systems is a Seattle, Washington software company. We develop financial analysis software for investment bankers, financial advisors, and state and local government agencies. We are well known by our registered trademark “Micromuni”. Finanical Management Systems Inc. originally developed Micromuni as a desktop software product in 1982. Micromuni has undergone decades of enhancements and improvements and has been verified by major rating agencies, account firms, and bond counsels. As software processing became more sophisticated with tablets and smart phones, Financial Management Systems, Inc. decided to migrate Micromuni to a cloud based software application. Micromuni Online 2018 is our most advanced Debt Structuring and Porject Financing software to date. Online all the time, your data is saved in the cloud. Micromuni calculates debt service solutions construction funds, reserve accounts, and allows you to export PDF reports to your desktop computer (Windows or Mac), laptop, tablet or smart phone (Android or Iphone). Our original Desktop Micromuni Sizing Software (1982 – 2017) has been migrated to Cloud Servers and is now “Micromuni Online”. Micromuni is a browser based cloud application which can be accessed on your desktop computer, laptop, tablet, or cell phones via your web browser. This eliminates complex installations, operating system changes and upgrades. No security key required. Reports can be viewed from your desktop computer, laptop, tablet or cell phones and can be downloaded in PDF, Word or Excel formats. Micromuni processes and stores your data in the cloud so you don’t have to worry about computer crashes, hardware compatibility or operating system changes.